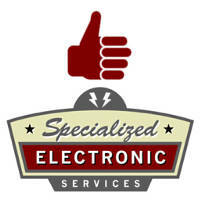 Specialized Electronics Services promises not to give or sell your personal information to any other party ever. E-mail addresses will not be sold, rented or leased to 3rd parties. As on other websites, no log files are stored on the web server saving details such as the visitor’s IP address, browser type, referring page and time of visit. Cookies will not be used to remember visitor preferences when interacting with the website. E-mail may be sent to inform you of news of our services or offers by us.